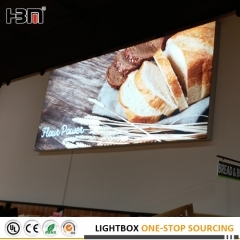 Fabric light box series provides bright and even illumination for graphic prints applied as wall mounted, hanging, or freestanding marketing solutions. 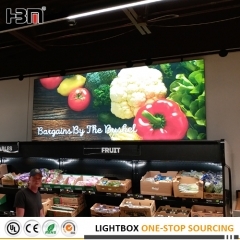 The frameless appearance of our fabric light boxes creates a sleek and modern look that allows for versatility of use in virtually any environment. 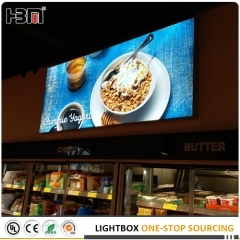 Our fabric light box is the ideal lighting solution designed to help elevate your brand to be the focus in any commercial landscape. 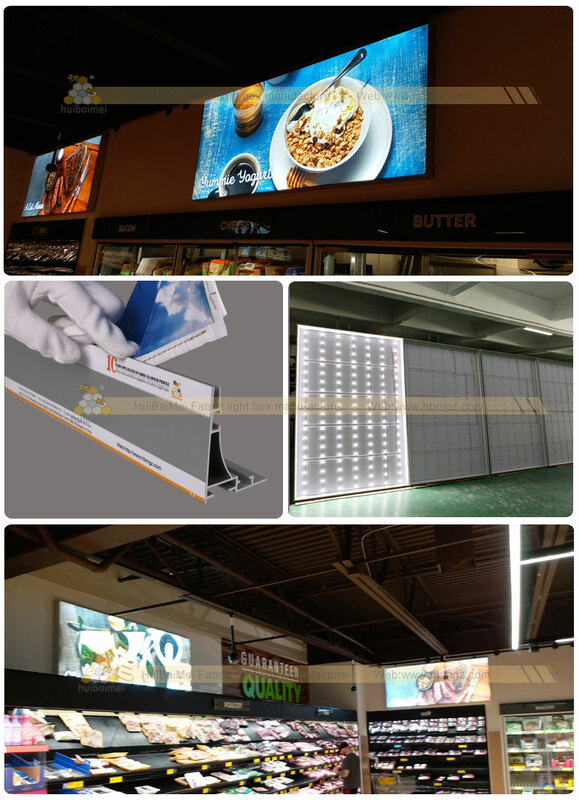 On March, we got an order for USA super market fabric light box project, 80mm deep frame with full backlit LED and high quality dye-sub tension fabric poster. Recently our customer finished the installation, and we are pleased to get some photos. 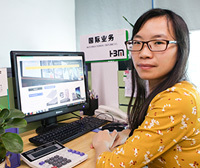 Here send for reference, any interest pls feel free to contact me.